I can't believe we're already on Day 5 of the 7 Day Closet Cleanout Challenge! 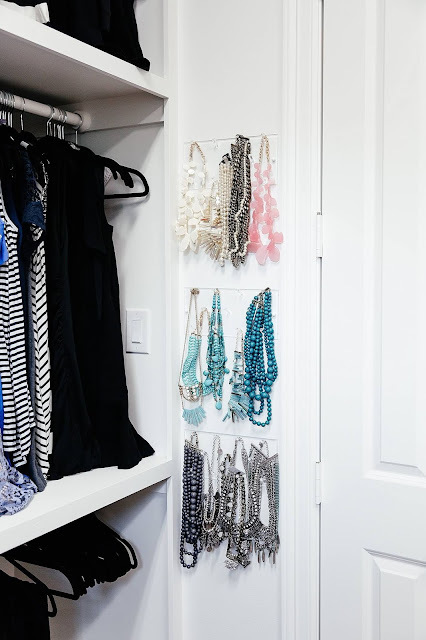 Are your closets starting to look clean, pared down, and organized? I can't wait to see everyone's results after day 7! If you missed the post that explains what the challenge is and how to get entered into the giveaway that's taking place at the end of the week, go back and read it HERE. 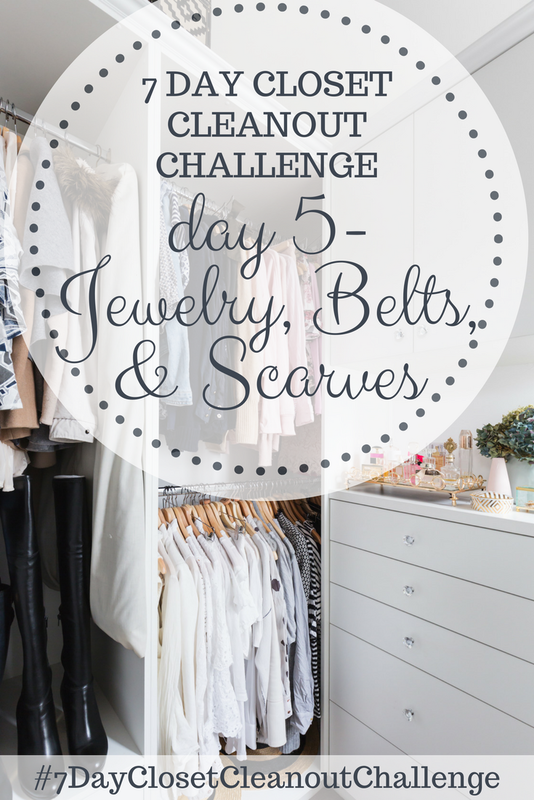 Today we'll be cleaning out our jewelry, belts, & scarves. I bought this hanger for my scarves about a year ago and really like it, so I'm planning to continue to use that for my scarves. I'll link up other options as well below. 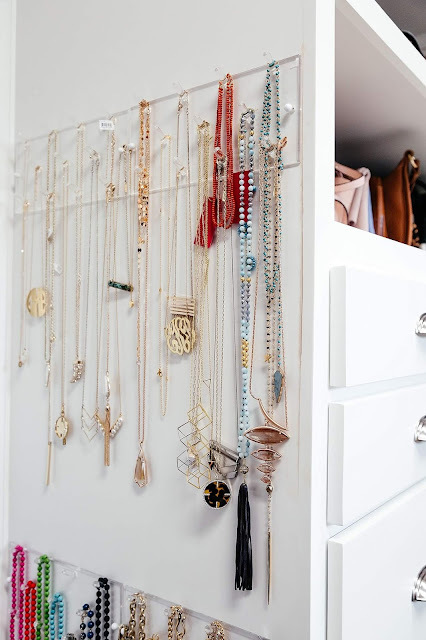 I love how you have time to organize your stuff and keep things tidy. Keep your jewels in tip top shape and have them clean yourself with the right tips. Thanks!